So it really helps to get out into the surrounding area to see the effect first hand. 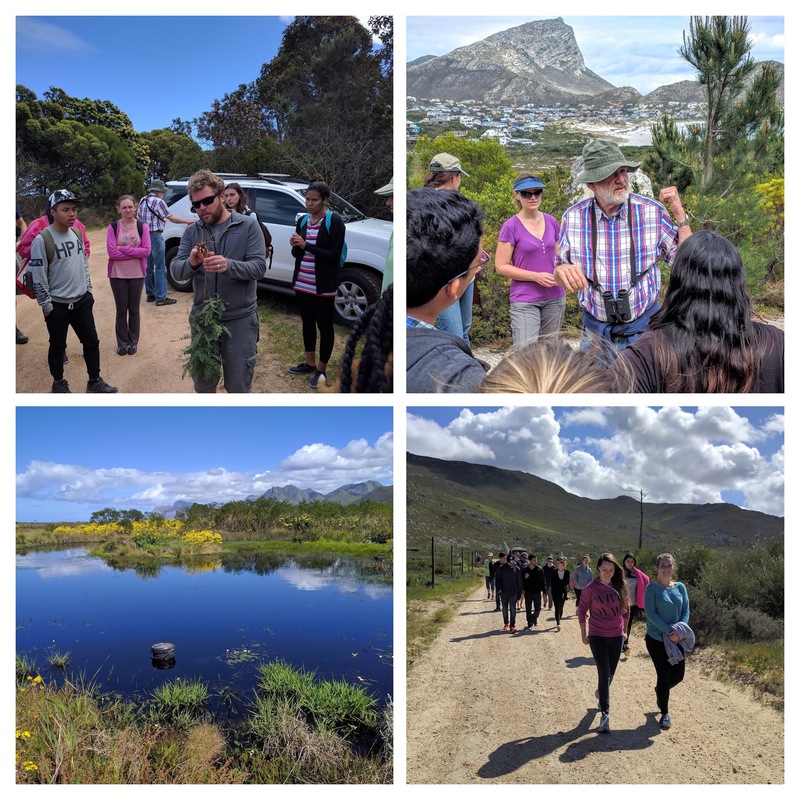 This is what Stellenbosch University's 3rd year students did this weekend with Profs Brian van Wilgen (top right) & Jaco le Roux (top left), in nearby Pringle Bay. Brian showed them how pines are escaping private gardens and taking over the nearby mountain, while Jaco explains how below ground interactions of plants and symbiotic bacteria also involve invasions. 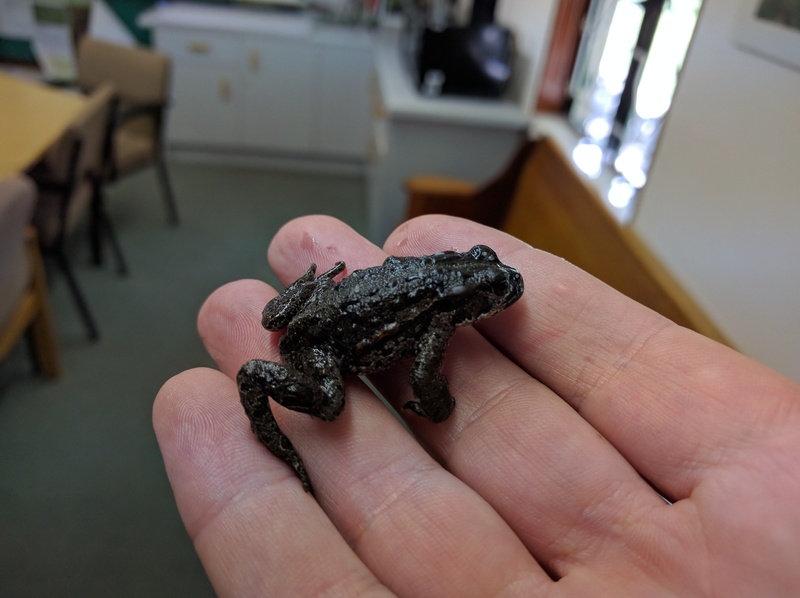 The students also got hands on experience with some domestic exotics, trapping and removing African clawed frogs from the breeding grounds of the Endangered Cape platanna. When is Xenopus a frog? This PeerJ publication provides a literature review on all the recorded instances of Xenopus laevis moving overland. For a lot of people, it seems easy to forget that African clawed frogs are just like many other frogs, and unlike fish they do move from place to place overland. 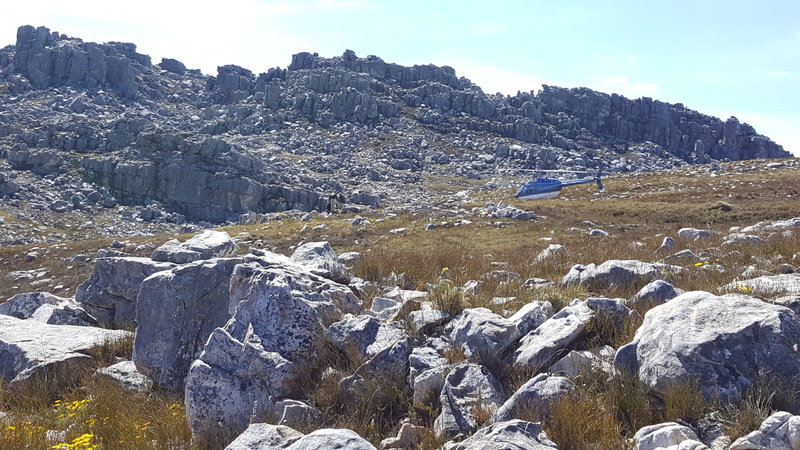 In the search for new species, Alex Rebelo was flown up a mountain in the du Toits kloof range to search for a new species of Capensibufo suspected to live on top. This followed the abortive attempt some weeks back with Krystal Tolley and Andrew Turner. Happily, Alex came up trumps with the biggest mountain toadlet ever seen. This individual is more than twice their usual size.